There are many stunning locations to choose from when it comes to your Wedding Ceremony and we can help with set-up and styling. Choosing the right location for your wedding ceremony is very important. There are many things to consider, however the main one is to decide on a place that is special to you and says something about you as a couple. 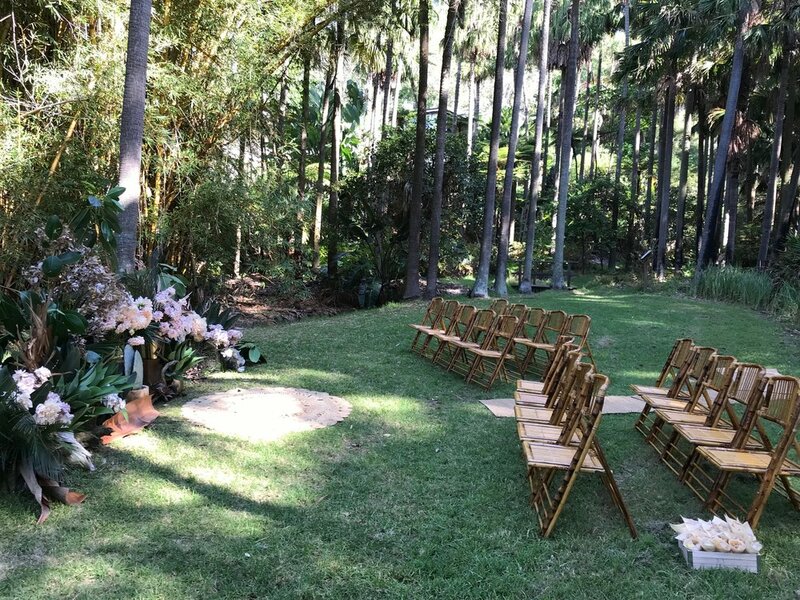 Ceremony locations can be held almost anywhere, from breaches to parks, private backyards, lake-side, reserves and other locations that may be special to you. We help to arrange necessary permits to ensure your ceremony location is secured for your wedding date. We also work with you to determine the styling and set-up of the location you have decided on. We can also recommend a number of highly qualified, well presented marriage celebrants. Below are some of the popular wedding ceremony locations that you may like to consider. If you would like to discuss these options please contact us or alternatively if you have an idea of what you are wanting but cant quite find it, let us know and we will do the searching for you. Spectacular location for a wedding ceremony, overlooking the harbour at Little Manly point. There are a number of great wedding reception venues close by such as Manly Yacht Club, Freshwater SLSC. This beautiful location provides a great backdrop for photos as does the nearby International College of Management. Next to the stunning venue that is The Avalon and the Avalon Surf Life Saving Club. Overlooking Long Reef Headland and the Golf Course this is a private spot hidden from passers by. This large open space could work for up to 200 guests. Located between Manly 16ft Skiff Club and Manly Yacht Club, this gorgeous patch of grass overlooks Manly Harbour, the beautiful tree providing shade and a lovely spot for photographs. Overlooking the Pittwater and Lion Island - this location is magic, however, is only available if you book your Wedding at the Golf Club. McKillop Park is situated on the headland between Freshwater and South Curl Curl Beaches. This delightful spot has views up and down the coast and is ideal for wedding photos. Park in McKillop car park. There are no amenities. Beautiful location with views of Sydney Harbour and the world famous Sydney Harbour Bridge. Spectacular location for a wedding ceremony. Overlooking Lion Island and Palm Beach West Head is located within the Ku-Ring-Gai Chase National Park. Beautiful setting located by a lake and surrounded by nature. This unique location for a ceremony is located water-side in cosmopolitan Balmoral. Available for hire through Mosman council the rotunda provides a beautiful backdrop for photos.